Toot’s Southern Rocko has an excellent pedigree with Sensation’s Southern Gentleman on the top (bloodline of Southern Sunrise) and Lady’s Toot Toot on the bottom (bloodline of Zane Grey). He is blue papered. 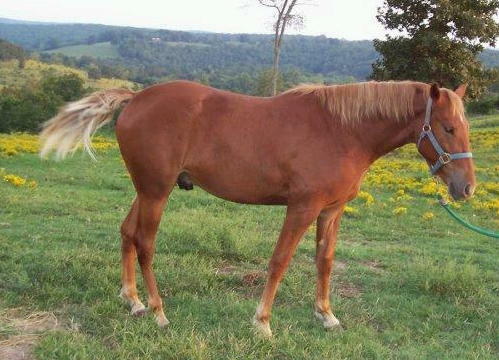 This yearling chestnut gelding has a good disposition and, natural gait and correct conformation. He is broke to lead, load, bathe, stand tied and clip. Rocko is for sale. $2,500.00 Please call us for more information.